Taconic has ceased production of the C.B-17 scid at the Defined Flora health standard. Taconic continues to produce the C.B-17 scid model at the Excluded Flora health standard (US) and the Opportunist Free health standard (Europe). This is the original congenic background strain on which Dr. Mel Bosma discovered the spontaneous scid mutation. Mice homozygous for the Prkdcscid mutation lack both T and B cells due to a defect in V(D)J recombination. Therefore, they easily accept foreign tissue transplants, including human tumors, making them effective models for testing new cancer treatments and as hosts for human immune system tissues (i.e., SCID-hu). 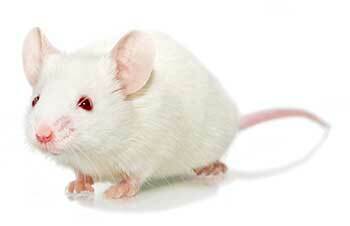 The C.B-17 scid does exhibit extremely low levels of Ig in ~20% of the mice at 12 weeks of age. The incidence of Ig will increase as the mice age. Despite this "leakiness" C.B-17 scids do not mount an antibody response to challenge by immunogenic material. Strain is similar to BALB/c except it carries the Igh-1b allele from the C57BL/Ka strain. Taconic has identified cardiac calcinosis in the CB17SC with an incidence of up to 50% in males at 7 weeks. Cardiac calcinosis is an incidental finding which does not cause clinical illness. Certain inbred strains such as BALB/c are predisposed to developing cardiac calcinosis. The C.B-17 scid spontaneous mutant model was derived by embryo transfer in 1989 and rederived in 1998 using donor females from the laboratory of Dr. Mel Bosma of the Fox Chase Cancer Center. The Taconic foundation colony was at F27 in 2005. Hematology reference data provided courtesy of ArcticLAS.